Glock might have been late to the game in providing a single-stack sub-compact pistol, but the ones they have released have met their customers demands well. 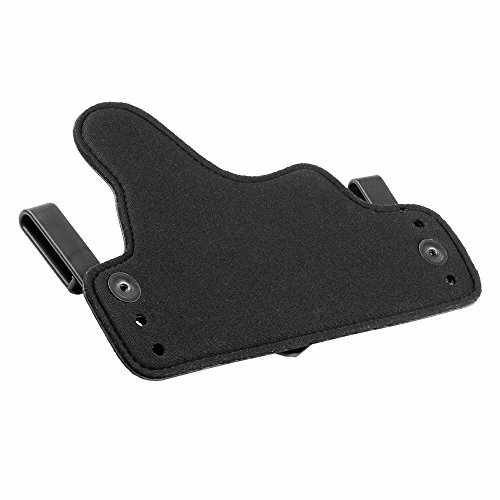 Because of the single-stack magazine, the three pistols listed here, G43, G42, and G36, are significantly lighter and have much less width than their sub-compact cousins. For example, Glock’s sub-compacts have an unloaded weight of around 22 ounces, while the G43 and G42 weigh in at only 14 and 18 ounces respectively. 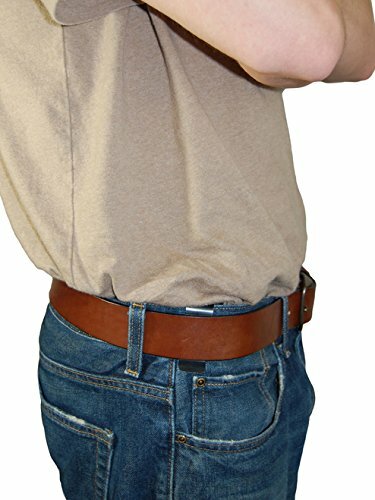 Any decrease in weight will ultimately affect your ability to carry the pistol comfortably all day without printing. 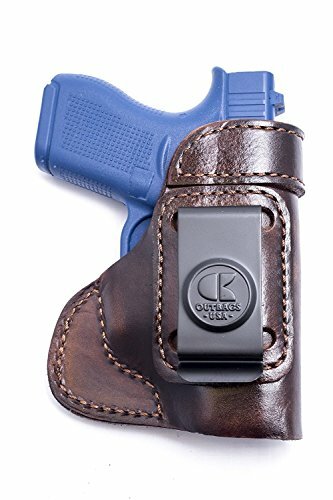 OutBags OutBags USA LS3G42 (BROWN-RIGHT) Full Grain Heavy Leather IWB Conceal Carry Gun Holster for Glock 42 .380. Handcrafted in USA. The three pistols in this category, the G43, G42, and G36, all have slightly different specs. 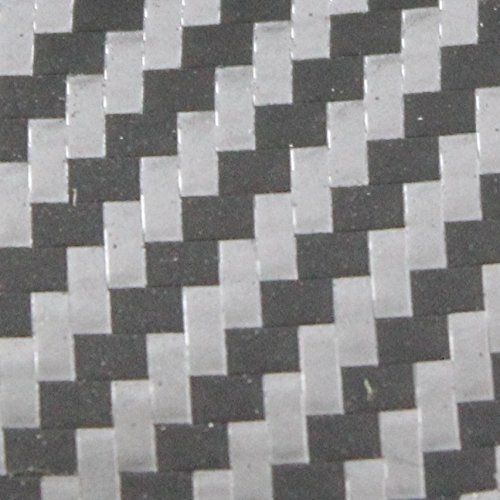 The large variety of specs occurs because of the differences caliber offered. The G43 uses the ever-present 9mm, the G42 uses the diminutive .380, and the G42 uses .45. 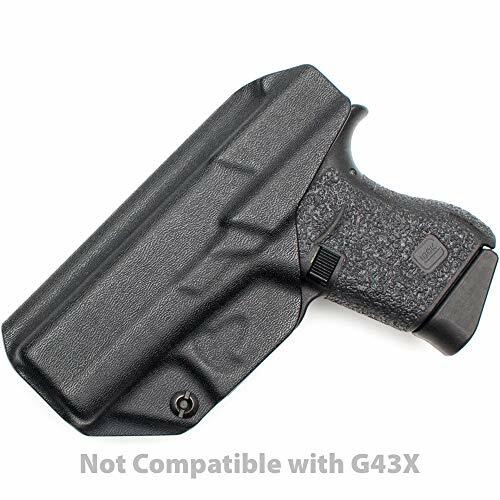 The G43 presents a slightly larger version of the G42, which Glock released in 2014. 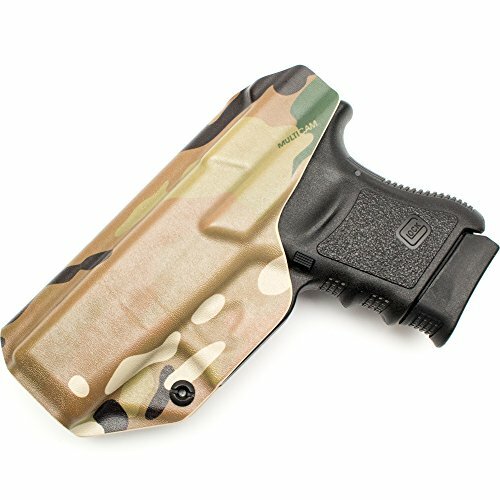 Glock has not yet updated this 9mm pistol to gen 5, but all 9mms are scheduled to be re released this year. The familiar shape and qualities—durability, reliability, and shootability—remain on the G43. Yet, its smaller magazine makes for a better carry pistol, and the 9mm bullets present a known quantity. 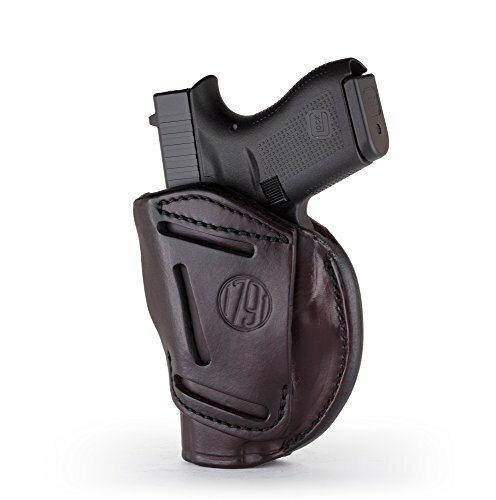 With the G43 you receive the ultimate carry pistol with the Glock guarantee of quality. The G36 has the distinction of being Glock’s first newly designed pistol in almost a decade. It was released in 2000, and presents a single-stack magazine that uses .45 ACP ammunition. The G36 is a .45 caliber pistol, which means is shoots a large bullet with a medium velocity. The range of a .45 may be less than a .357, but it also creates much less felt recoil in your gun than other calibers. 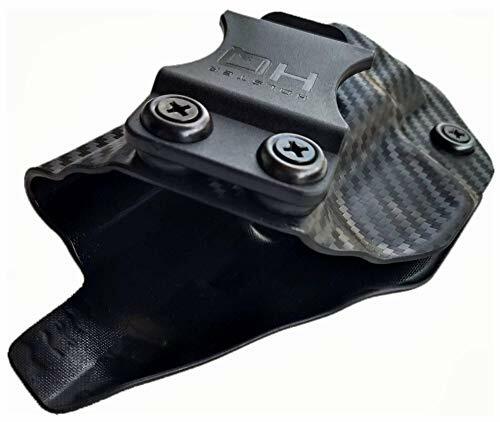 For a small, concealable, self-defense weapon, you want as much stopping power as possible. However, this pistol is much larger than its sibling sub-compact slimlines because of the larger round. 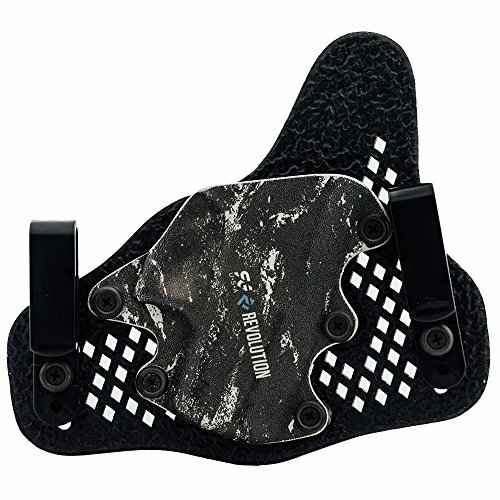 So, you are compromising concealability for increased damage in this pistol. 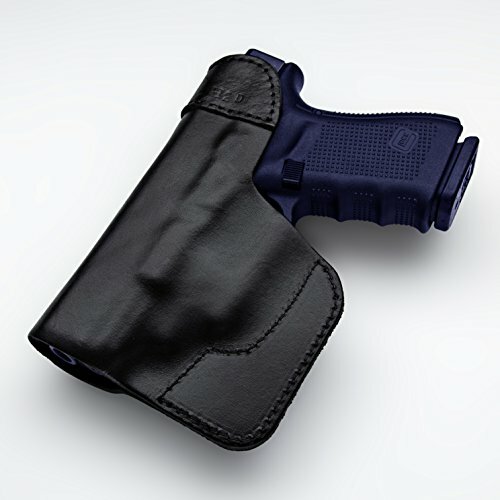 The second of Glock’s sub-compact slimline models to be released, it came on the market in 2014. 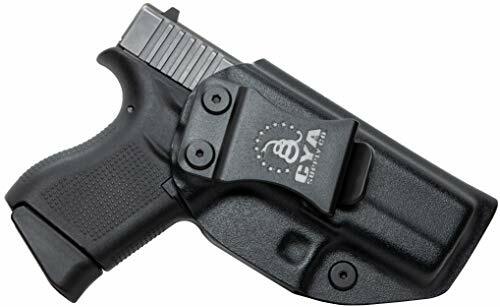 It uses the small, and somewhat maligned .380 ACP and is significantly larger than its ultra-compact .380 counterparts on the market. These factors have contributed to it being one of Glock’s less popular options—most people wanted a 9mm slimline sub-compact to be released first. However, there are people who swear by the G42. The G42 may not be the smallest .380, but it is one of the easiest to shoot. 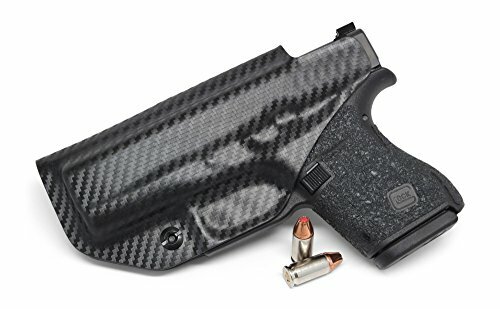 It’s slightly larger size than other .380 ultra-compacts make it easier to get a good grip on the pistol. 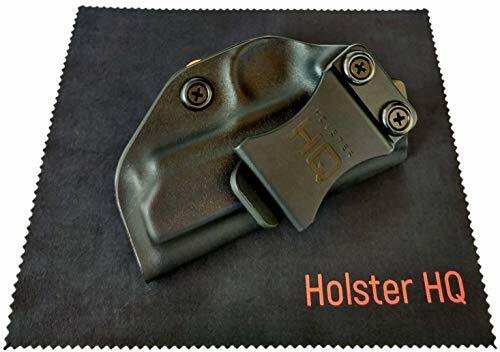 And, it still conceals well in most holsters. Thus, if you want a reliable .380 pistol that you don’t have to worry about getting a good grip on, this is the pistol for you. Glock’s sub-compact slimline pistols vary more than some of their other lines. 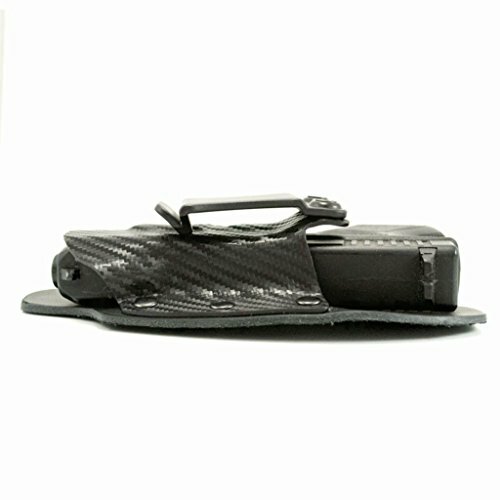 However, they all offer the durability and reliability synonymous with Glock’s brand. They are also the most concealable and light pistol options that Glock makes. If you want an ultra-concealable weapon, then we recommend taking a look at the G42, G43, and G36. 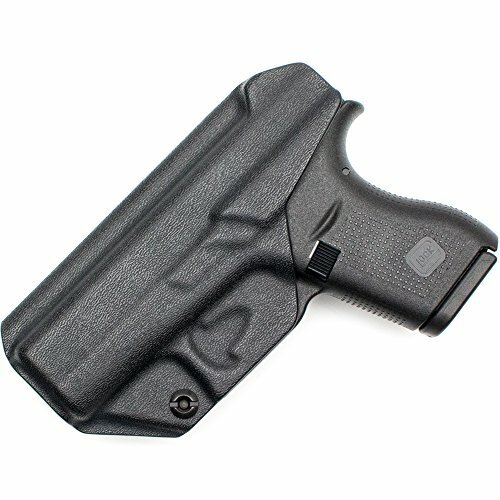 Chris Baker, “Why I’m Keeping My Glock 42—A Review,” Lucky Gunner (November 24, 2014), https://www.luckygunner.com/lounge/glock-42-review/ (accessed 3/2/18). 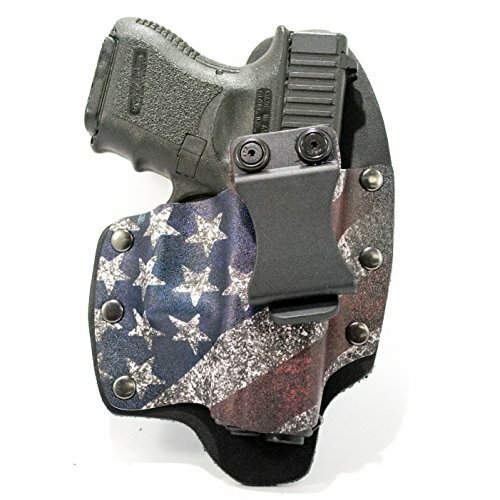 Constantine, “Glock 36 Review for Concealed Carry,” Concealed Nation (January 13, 2015), http://concealednation.org/2015/01/firearm-review-glock-36-review-for-concealed-carry/ (accessed 3/2/18).